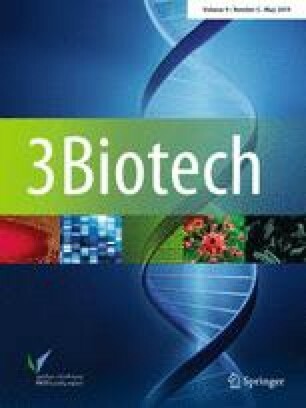 Agrobacterium mediated in planta method was used to transform Indian elite wheat genotype HD2894 with herbicide-tolerant CP4-EPSPS (5-enolpyruvylshikimate-3-phosphate synthase) gene. The apical meristems of germinated seeds were targeted for introgression of transgene. The obtained T1 plants were screened by spraying 1% glyphosate and only positive transformants survived. The presence of transgene was also confirmed by PCR and Southern hybridization. Using this method, 3.07% transformation rate was observed. To identify transgenic lines carrying stably integrated CP4-EPSPS gene, the transgenic populations were screened in T3 generation using 1% glyphosate and lines with 100% survival were considered as homozygous. No significant morpho-physiological variations were observed within the transgenic lines as compared to non-transgenic plants. The present study resulted in herbicide-tolerant transgenic wheat and provides a valuable tool for development of wheat genetic transformation. The online version of this article ( https://doi.org/10.1007/s13205-019-1708-6) contains supplementary material, which is available to authorized users. The authors are thankful to the Project Director NRCPB (National Research Centre on Plant Biotechnology), Pusa Campus, New Delhi, India, for providing facilities to carry out the research work. Funds provided by the ICAR (Indian Council of Agricultural Research) under NICRA (National Innovations in Climate Resilient Agriculture) project are duly acknowledged. Dr. P. A. Kumar, Ex-Project Director NRCPB, is duly thanked for providing the gene construct pCAMBIA 1301-Ubi-C4-EPSPS. The authors are thankful to the Director IARI, Pusa Campus, New Delhi, India, for providing the plant growth chambers at the National Phytotron Facilities. Concept and design of experiment: JCP; performed the experiments: AT, HV, GS, MB, KB, AP, UC; analyzed the data: AT, HV, GS; manuscript writing and editing: AT, HV, GS, AUS, JCP.